Spring break may be a couple more weeks away and you may still be looking at a couple inches/feet of snow outside your window (ahem, New England), however, not all hope is lost. 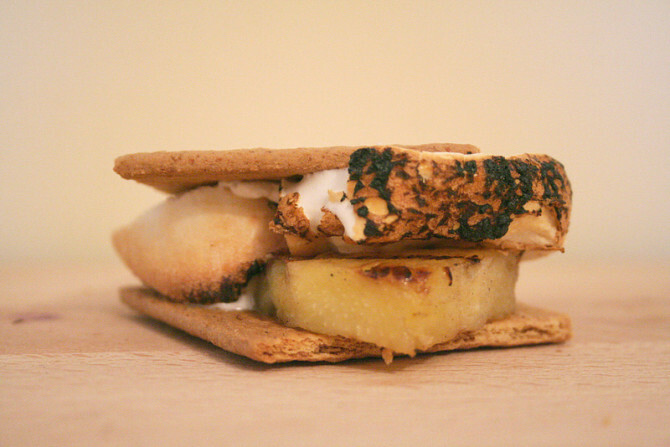 This tropical take on the classic s’more is a mini vacay between two graham crackers. 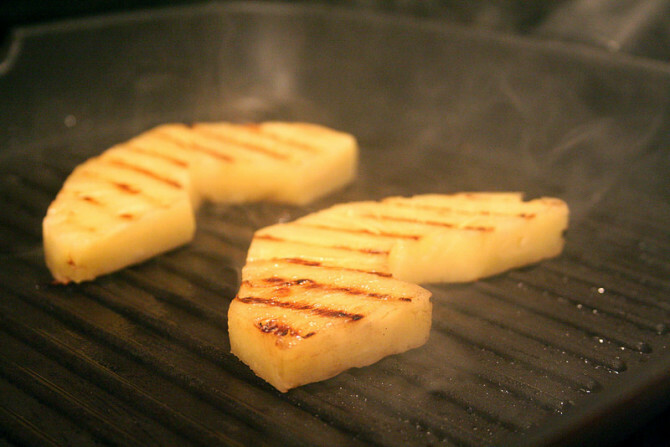 Grilling fruit, like pineapple, makes it soft, caramelized and delish. There is no campfire necessary if you just pop the mallows in the microwave for a couple seconds, or if you have a gas range you can carefully toast them over low heat by sticking them on a metal poker and continuously rotating until lightly charred. 1. 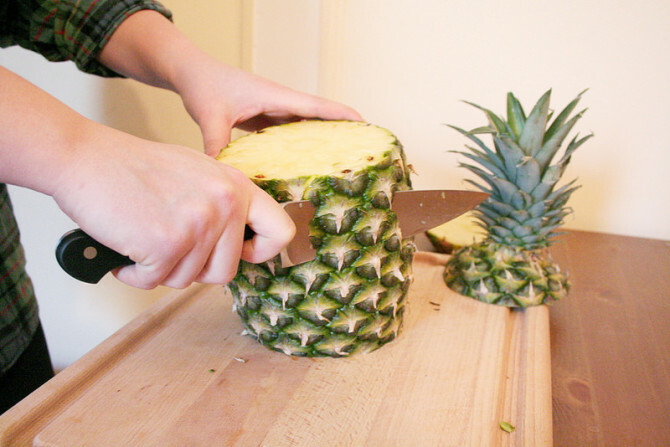 If using fresh pineapple, carefully slice into half-inch thick disks and remove the center core. Cookie cutters do an exceptional job. 2. 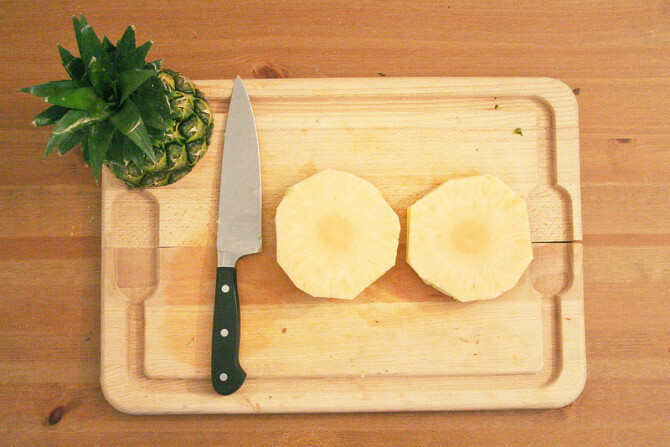 Grease the pan and grill pineapple slices on medium-high heat for 2 minutes each side or until warmed through and grill marks start to form. If you don’t have a handy grill pan, a nonstick skillet will work just as well. 3. Place two marshmallows on a graham cracker square and microwave for 20 seconds or until the mallows expand a little bit. OR you can also toast your mallows over a gas range like I did here. Just be sure to use an inflammable poker and to continuously rotate the marshmallows for 1 minute so they do not smoke or take fire. 4. 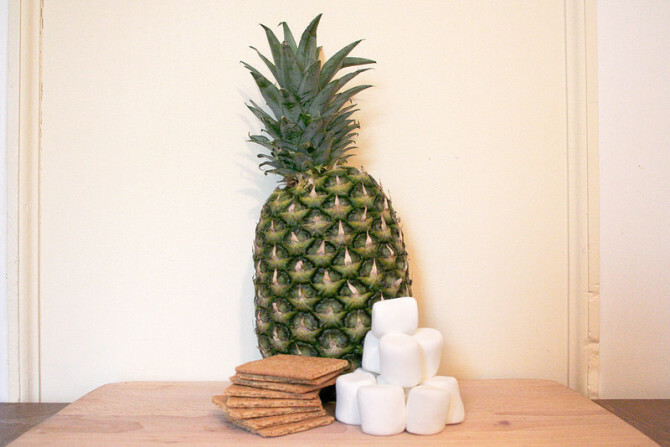 Immediately place a pineapple slice on top of microwaved/toasted marshmallows and top with a second graham cracker. 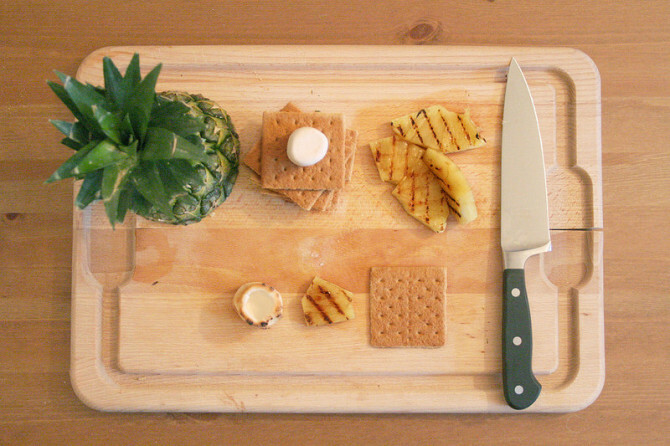 Pair these s’mores with a tropical drink to complete the stay-cation.